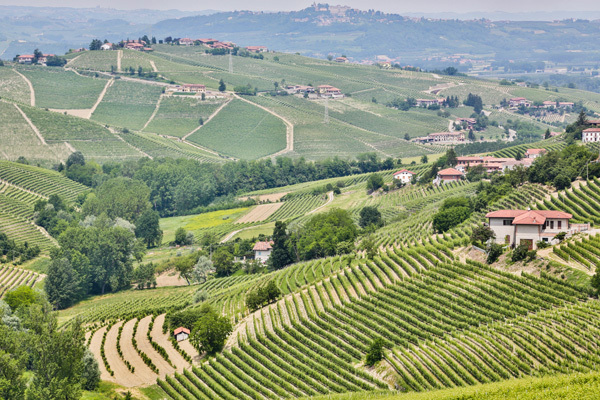 In 2014, selected areas of Langhe-Roero and Monferrato, in our beautiful region of Piedmont, which is famous for its vineyard landscapes, were declared a UNESCO World Heritage site for its Outstanding Universal Value (OUV). The OUV for this site is represented by the deep-rooted culture of wine and the extraordinary landscape shaped by human labor, related to grape growing and wine production. Our B&B is located between 2 core areas of the UNESCO site allowing easy access to the whole region. The UNESCO site is located in the southern part of Piedmont, between the Po River and the Ligurian Apennines, and encompasses the whole range of technical and economic processes relating to the winegrowing and winemaking that has characterized the region for centuries. Vine pollen has been found in the area dating from the 5th century BC, when Piedmont was a place of contact and trade between the Etruscans and the Celts; Etruscan and Celtic words, particularly wine-related ones, are still found in the local dialect. During the Roman Empire, Pliny the Elder mentions the Piedmont region as being one of the most favorable for growing vines in ancient Italy; Strabo mentions its barrels. This unique vineyard landscape consist of a selection of five distinct winegrowing areas and a castle. They reflect a slowly developed association between a diverse range of soils, grape varieties that are often native, and suitable winemaking processes. They offer panoramas of carefully cultivated hillsides, following ancient land divisions dotted with buildings that lend structure to the visual space: hilltop villages, castles, Romanesque churches, farms, ciabots (small farm sheds), cellars and the commercial buildings associated with the wine industry. The landscape is outstanding for its harmony, and the balance between the aesthetic qualities of the land, the architectural and historical diversity of the built elements associated with the wine production activities and the authentic and ancient art of winemaking.